INCROYABLE ! 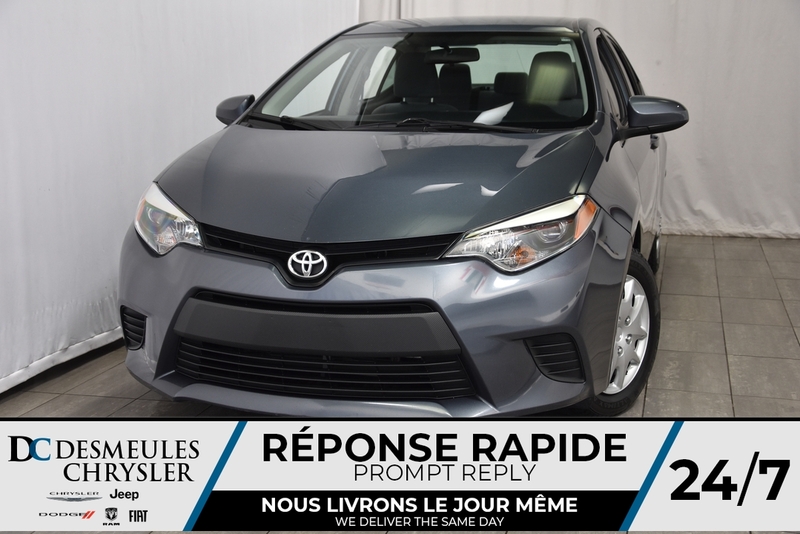 VENEZ VOIR CETTE BELLE TOYOTA COROLLA ! ELLE A SEULEMENT 93 960KM ET SE TROUVE TOUJOURS EN PARFAIT ÉTAT ! UN MOTEUR 4 CYLINDRES 1.8L TRÈS ÉCONOMIQUE ET FIABLE ! JAMAIS ACCIDENTÉ ! VENEZ NOUS RENDRE VISITE ON VOUS ATTEND !